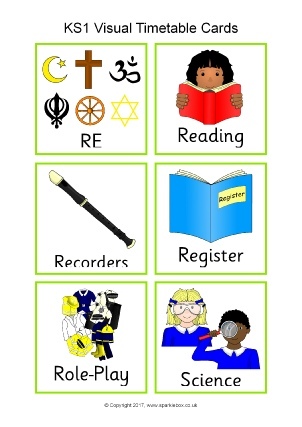 A colourful set of high-resolution JPG images featuring the main activities and subjects covered in Key Stage 2. Images can easily be resized to suit your needs. The download also includes a PDF document with the timetable images pre-arranged 6 to a page (A4). 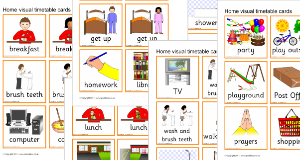 A colourful set of printable cards featuring all of the major activities, subjects and areas of learning covered in Reception and Key Stage 1. 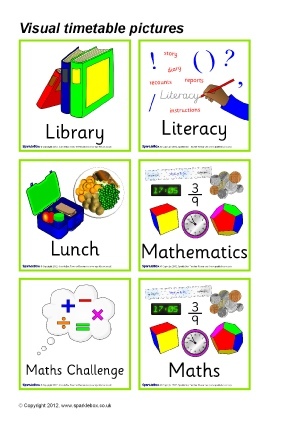 Includes a PDF with the timetable cards pre-arranged 6 to a page (A4) as well as resizable images. 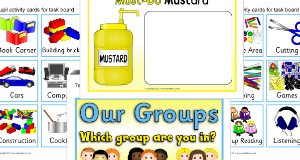 A selection of colourful banners for use on your class visual timetable display board. 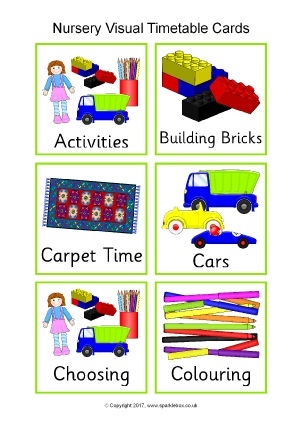 A colourful set of high-resolution JPG images featuring the main activities that children do within a nursery setting. Images can easily be resized to suit your needs. The download also includes a PDF document with the timetable images pre-arranged 6 to a page.